Dillin’s dependable Re-Circulation Accumulator allows for smooth in-line product accumulation during minor equipment downtime events or change-overs. Strategically positioning this accumulator downstream of high value producers such as a Filler, Capper or Labeler allows for consistent production flow ensuring optimum production performance. “Straight Through” conveyance during steady state operation. Applicable for round or semi-round container designs. 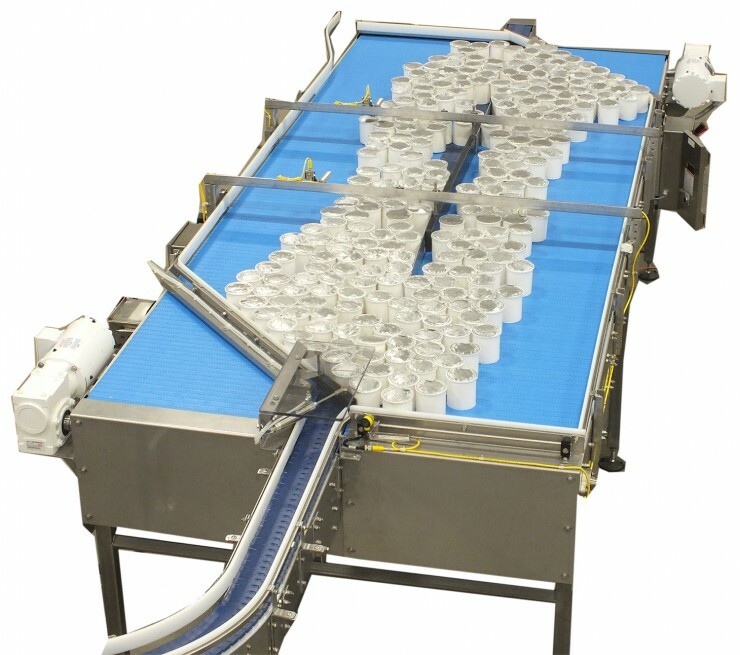 Improves production throughput and efficiency. Relieves product back pressure via recirculation design. Small footprint relative to large accumulation capacity.